A Long Weekend at the Beach! North Carolina has always held a special place in my heart. 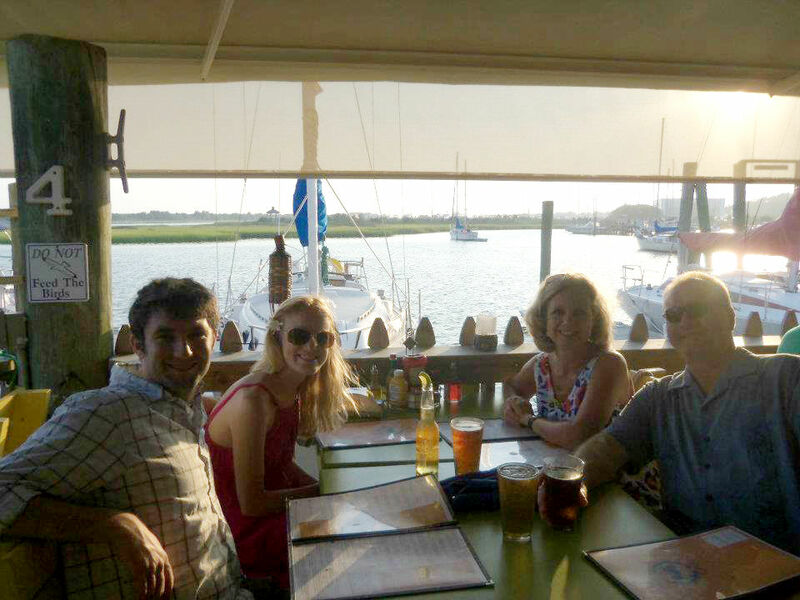 Ever since I was a baby, right around the time I just started to learn to walk, our family would spend a week-long summer vacation at Bald Head Island. More recently, during my time in college, we spent time at Winding River Plantation, just outside of Southport, and just a short drive from the ferry boat that we’d take over to the island. There are so many memories I’ve accumulated over the years, and two summers ago I was able to give Drew a little better idea of what my childhood (and teenage) vacations were all about. Who would have thought the place where I spent so many summers growing up would turn out to be our honeymoon back-up plan? Needless to say, it’s a place that means a lot to me. 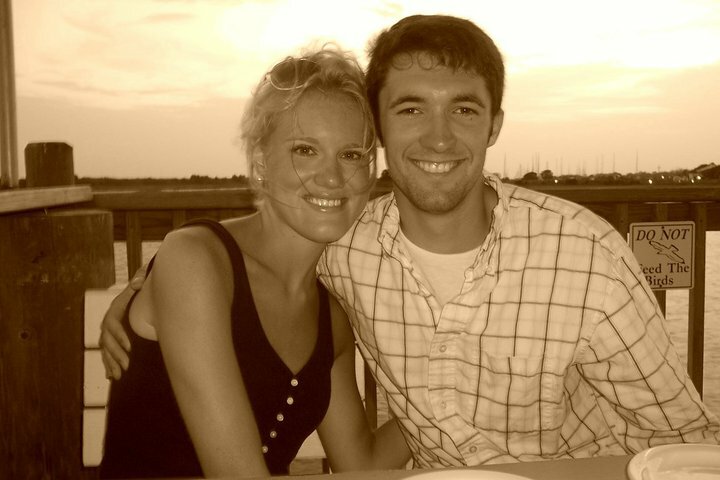 Throwback picture: Drew and I at Fishy Fishy back in 2010. This past weekend, Drew and I took Friday off from work and headed down to North Carolina, to stay with my parents at their house in Winding River. We hadn’t been there since our honeymoon almost 11 months earlier, so we were very happy to have a chance to go back. Even though we won’t be able to take a full-blown vacation this summer, a three-day weekend at the beach was going to fit the bill just right. We also had Theo in tow, which would make for an even more eventful weekend. I think it’s safe to say we were more excited about Theo experiencing the ocean for the first time than almost anything else. After sleeping in on Friday after a midnight arrival the night before, we set out for the beach. After scoping out an empty patch of sand to set up camp, we headed for the ocean. I was expecting for Theo to dart for the waves the second he saw them, leaving me racing behind to catch up. This was not at all what happened. 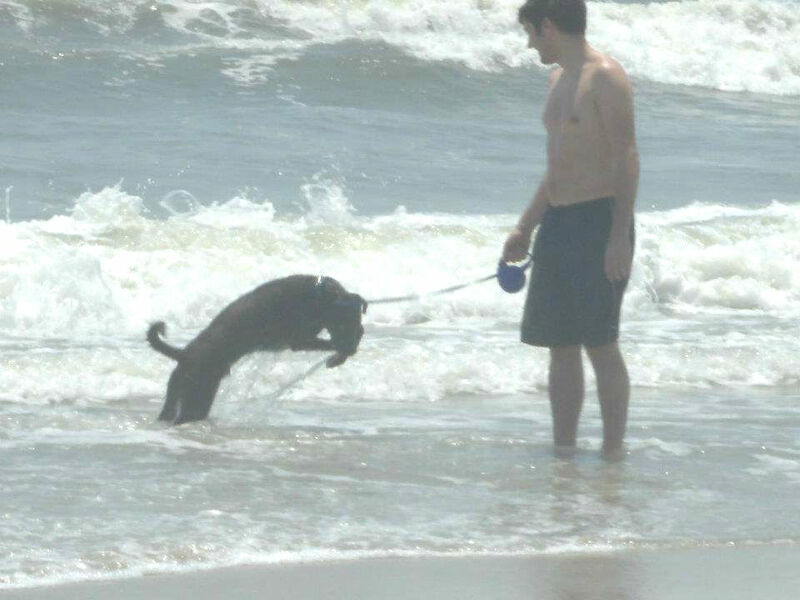 Theo was very hesitant at first and jumped back every time a wave rolled in. 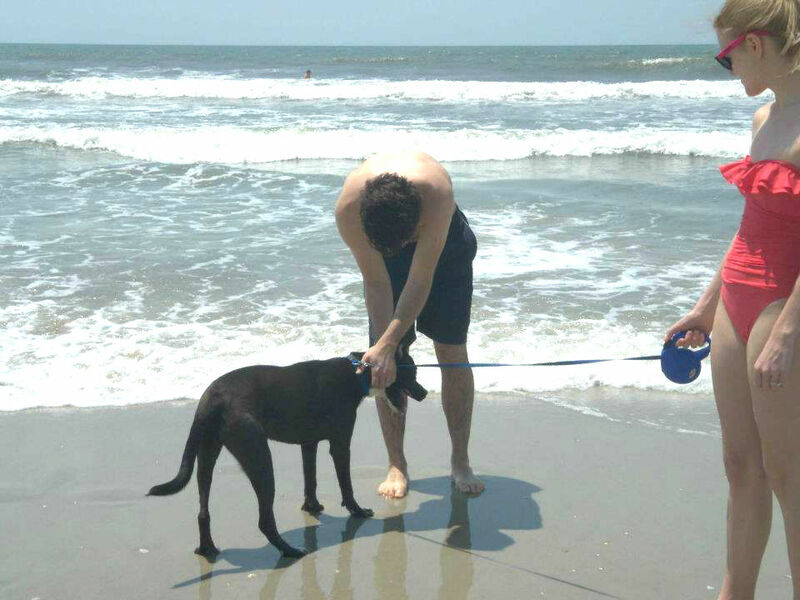 It took several tries and coaxing from all four of us before he became more comfortable with the water. By the end of the trip, he was jumping and playing in the waves with Drew. He was definitely the source of our entertainment for the day, digging holes and kicking wet sand everywhere. …but by the end of the day, he was having a great time! 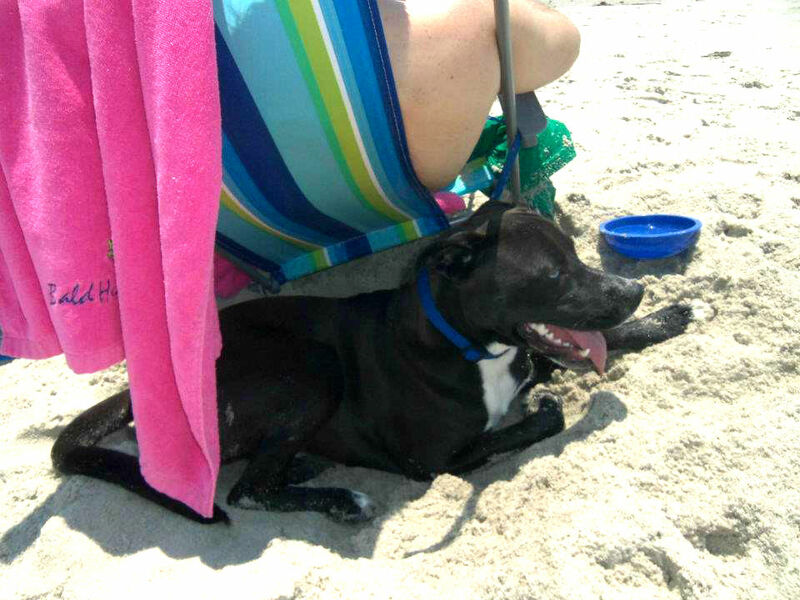 Theo made his own shady spot by digging a hole right behind Drew’s beach chair. Smart dog. The four of us at Fishy Fishy. One of my favorite things to do when visiting Mom and Dad is to stay up late, talking and reminiscing. Along with some of Mom’s infamous peach and blueberry pie, we stayed up until almost midnight—a good two hours later than when Drew and I typically go to bed. Yes, we really are an elderly couple at heart. Saturday we decided to go to the pool since the beach would no doubt be much more crowded with it officially being the weekend and the upcoming holiday. I also did a less than stellar job at applying SPF the day before and had quite the uneven sunburn to show for it. Seeking out shade and taking a refreshing dip in the pool was definitely our best bet. Theo got spoiled rotten by Mom and Dad. They sure do love their grand dog! Even with all the great restaurants around, some of our best meals come from cooking in at the house. Mom and Dad have the art of grilling seafood down to a science and the shrimp and mahi-mahi tacos we had that night were absolutely delicious. The Patron margaritas weren’t so bad either 😉 Theo had quite a few food treats himself over the course of the weekend-Mama and Papa Edwards took care of him with several goodies. 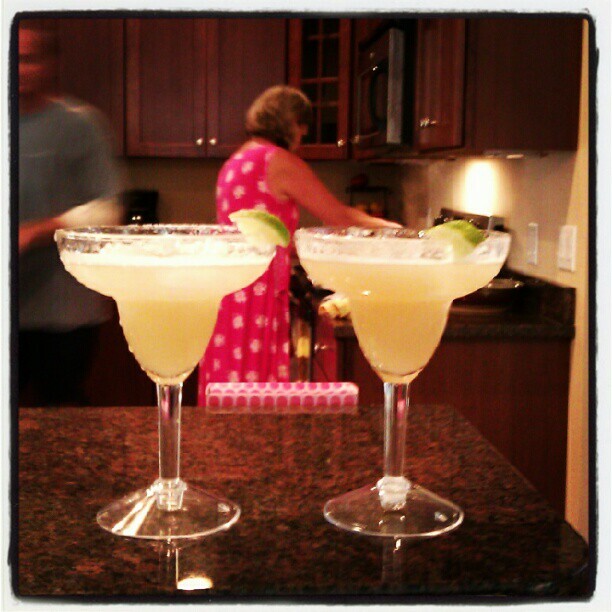 Margaritas made by the master mixologist, Dad. As they usually do, the long weekend ended much too soon and after a big brunch on Sunday, we packed up the car and headed back to Atlanta. I think Mom and Dad were almost more sad to Theo leave than the two of us! 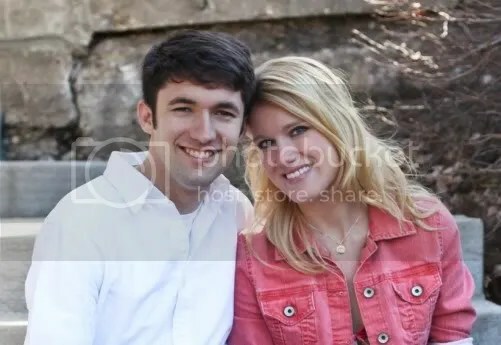 I have a feeling that when they move to their North Carolina house for good, it won’t be long before they adopt a dog of their own. On the drive home, about 100 miles outside Atlanta, we ran into a horrible hailstorm and actually had to pull under an overhang on the interstate. Drew’s car has really taken a beating, making it through two hailstorms within the past two months. Theo practically slept through the whole thing, curled up in the backseat. We finally made it home safe and sound, not too far behind schedule even with the storm. I’m not sure when the next time we’ll be able to take a trip to the beach will be, but I’m sure it won’t be too long. Theo definitely enjoyed his time and it was a great mental getaway for Drew and I not to have to think about work or worry about the real world for a few days. Many thanks to Mom and Dad for inviting us for the weekend, it was a real treat! Looks like Theo adjusted to the beach quite well.The pic of him sitting in the sand beside you with a big smile on his face says it all! By the way, get use to be second when it comes to grand dogs and grandkids! Jim and I learned that real quick when Drew came into the world.